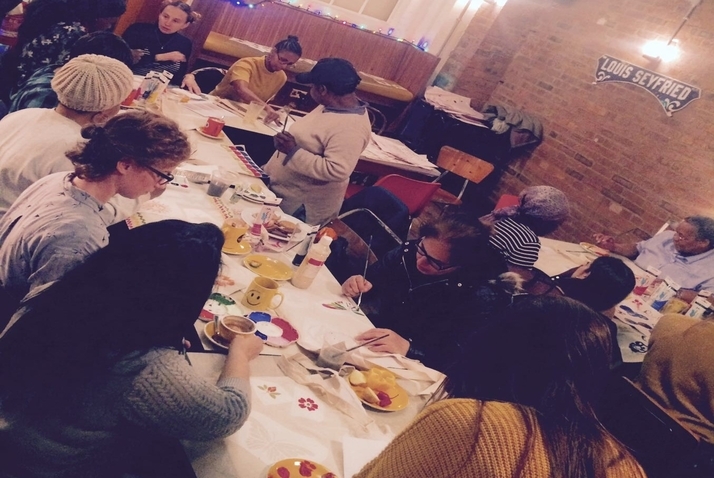 Throughout November we delivered our second 5 week textiles workshop in collaboration with ‘Women for Refugee Women’- a charity which aims to challenge the injustices experienced by women who seek asylum in the UK. They work with the arts, media and in public events to help tell women’s stories, as well as publish research and inform politicians to help create a fairer asylum process. Sessions were held in our Hoxton caf and were led by our very own supervisor Sarah. 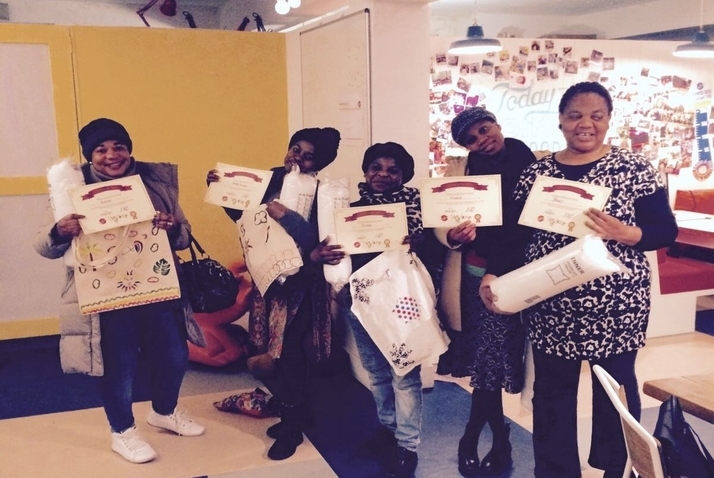 Over the weeks,women taking part designed and created bags and cushion covers. To allow the women to express their artistic flair (and give them a break), each week our Eggquarters office located just below, doubled up as a playground to entertain their children. 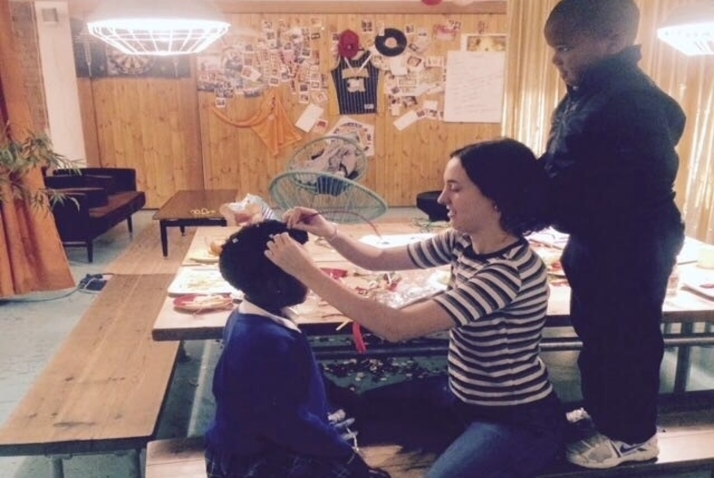 Refugees seeking asylum in the UK are legally not allowed to work or volunteer. 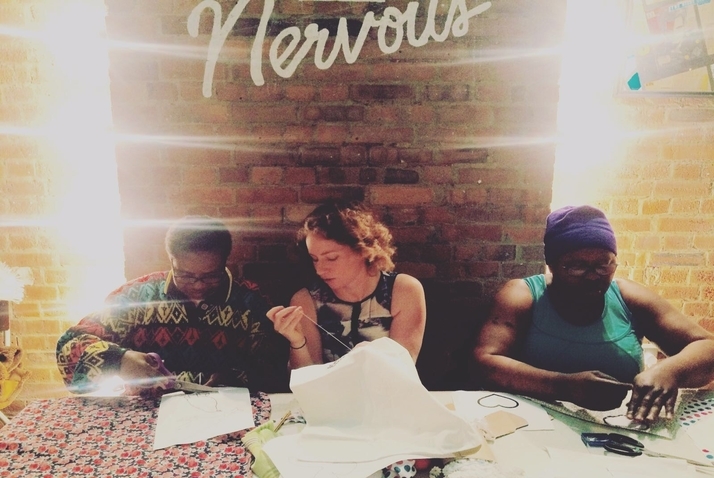 Workshops like these aim to offer something these women they may struggle to access, allowing them to learn a skill and progress alongside others each week. Follow our own volunteering program @gooddayproductions on instagram and have a scroll to see what else we’re doing to try and give something back. With the workshop now over, we wanted to say what a blast it was working with such wonderful woman and their cute and crazy kids.